"The key about losing weight: You have to do it for you." Its not about even starting the journey, its about you, you have to want to do it. And you can't let what everyone has to say overshadow what you want for you"_Jennifer Hudson. I know when some people see this topic they will say "abeg, we have heard enough about Jennifer" Well i'm sorry but i just love her. 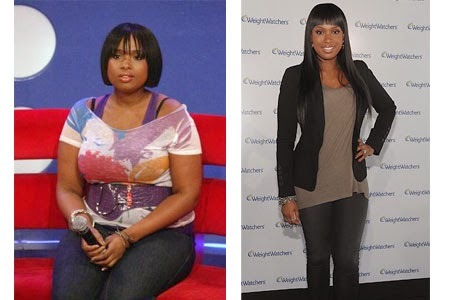 To an extent, she inspired me to lose weight. 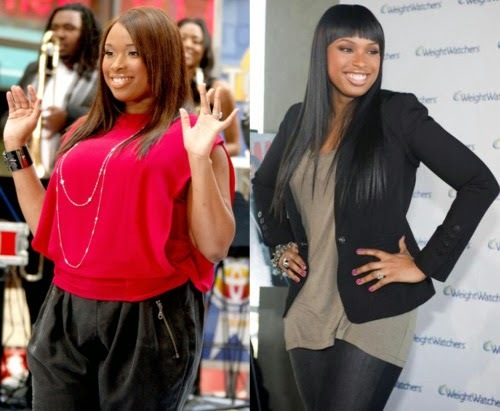 I followed her carrier from 'American idols', to 'Dream girls' to her weight loss, to her interview with Oprah. plus i love her songs. Shes one of my weight loss icons. She was a finalist on American Idol show 2004. She had always longed to be skinny, tried and tried but didn't succeed. She lost the weight by using weight watchers diet plan "everything in moderation"
She went from a size 16 to size 6. She also exercised. She had a personal trainer. She has kept the weight off since. Yes, shes a celebrity, most of them are known to go under the knife to get the bodies that they want, but Jennifer worked for her body. Sweeties, I know times can get very tough, we have much to do, yet very little time. I always say, "if one has the time to sit in front of the tv and eat, one can as well create time to exercise for at least 15mins a day". Its doable, weight loss is all about determination and self control. Determination comes first. Get up now and get going. Start by eating everything in moderation and exercising at least 3 times a week. God bless. Hi Engee. My dear, working on that by the grace of God. Thanks luv. God bless.